Jalapeño Popper Egg Cups – a healthy breakfast twist on the classic appetizer made with cheese, bacon and jalapeno peppers. Perfect for busy school or work mornings or a holiday brunch. 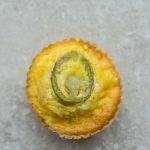 These Low Carb Jalapeño Egg Cups are simple to make and perfect to make ahead for busy mornings. We are all about quick and easy breakfasts on the go and these egg muffins happen regularly around here. You can bake up a batch on your meal prep day, and then wrap them up and keep them in the fridge or freezer. Start off by whisking together your eggs in a 4-cup measuring cupor a mixing bowl and seasoning them with salt, pepper and your favorite seasonoings. I like lining my muffin tinwith these silicone liners since they are guaranteed to pop out easily without sticking. 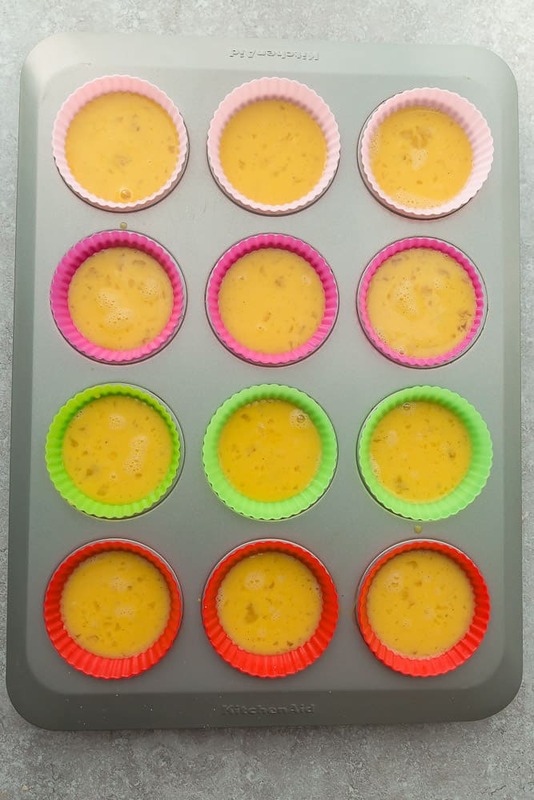 If you don’t have silicone liners, be sure to grease the muffin tins with a non-stick cooking spray. Once cooled, you can store them in resealable bags or glass containers. Keep them in the fridge (or freezer) and every morning, heat one up in the microwave for 30-40 seconds. Breakfast is ready to go! 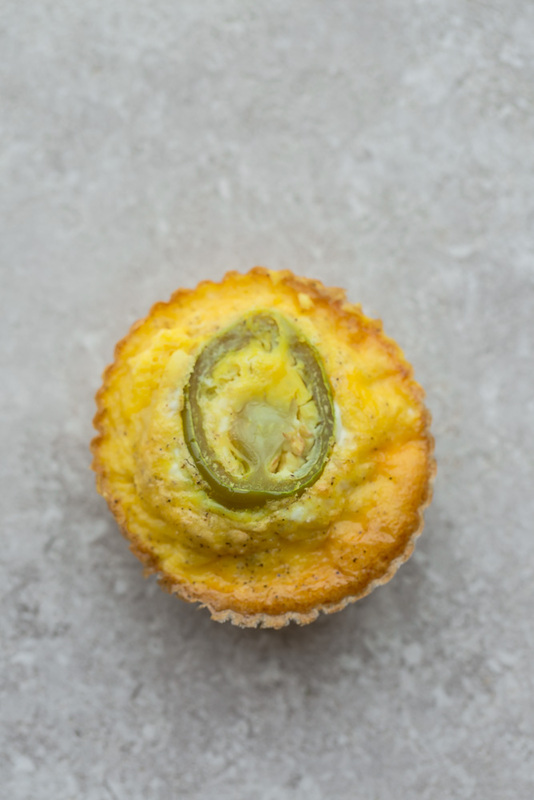 With a batch of these tasty jalapeño popper egg cups, you’ve got a healthy breakfast when you’re on the run each morning. 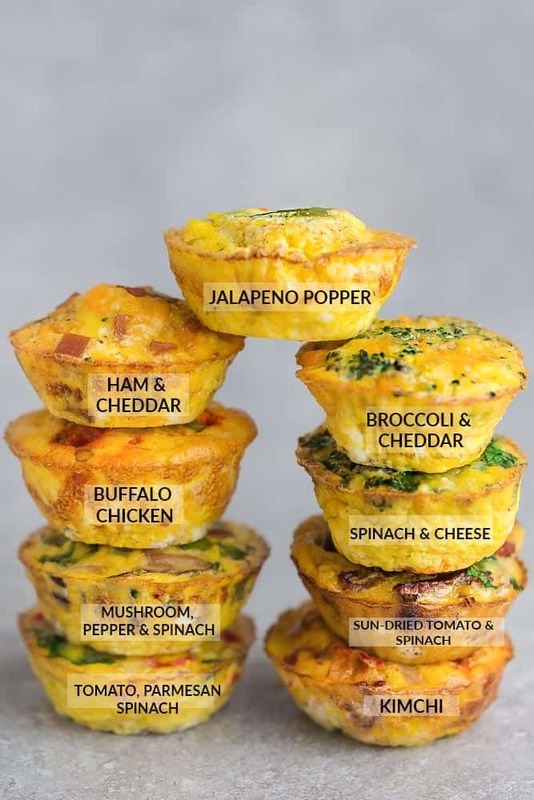 Jalapeno Popper Egg Cups – a healthy breakfast twist on the classic appetizer made with cheese, bacon and jalapeno peppers. Perfect for busy school or work mornings or a holiday brunch.